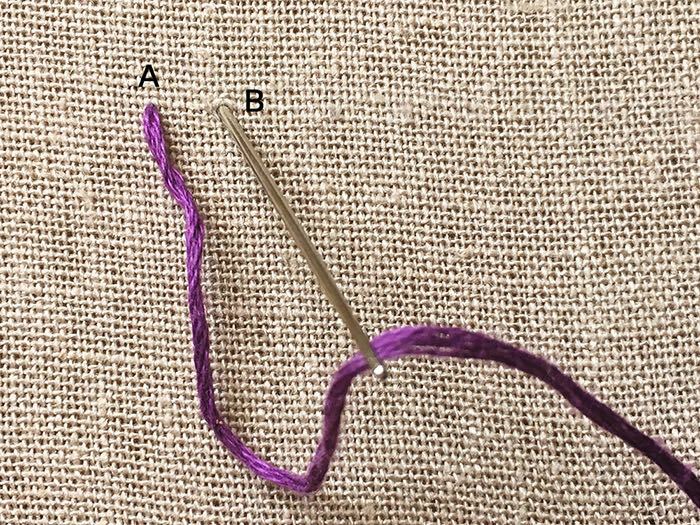 Split Stitch is another stitch that is used for outlines and as a padded edge to give volume to Satin Stitches. Step 1. 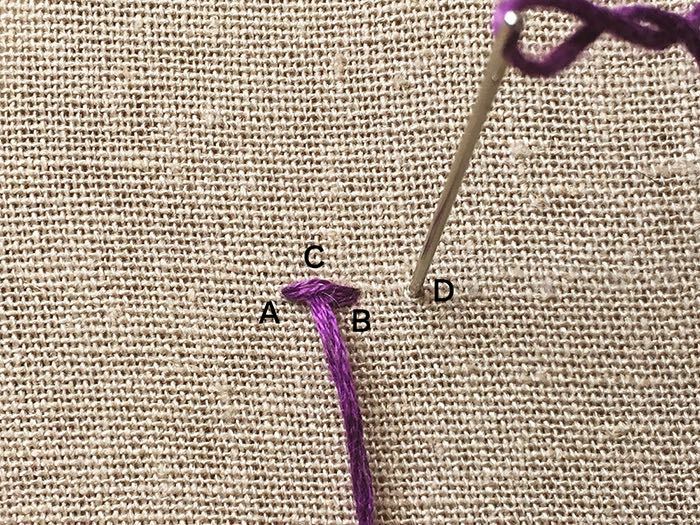 Insert the needle through A and do a straight stitch to B. Step 2. 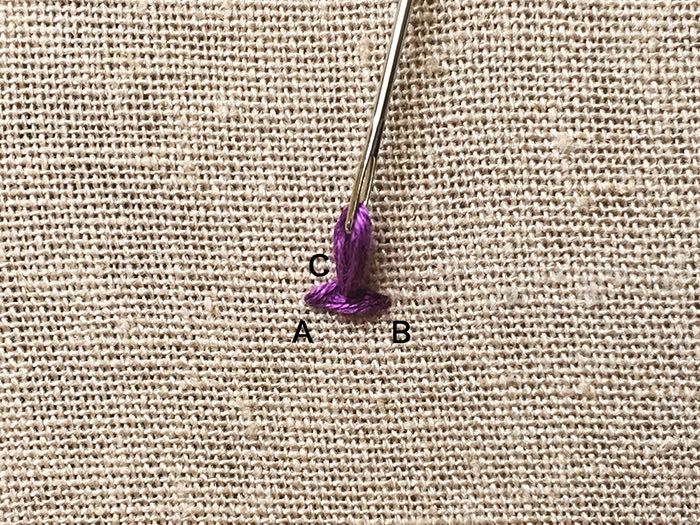 Come up C and split the thread with the needle. Step 3. Insert needle at D. Repeat.